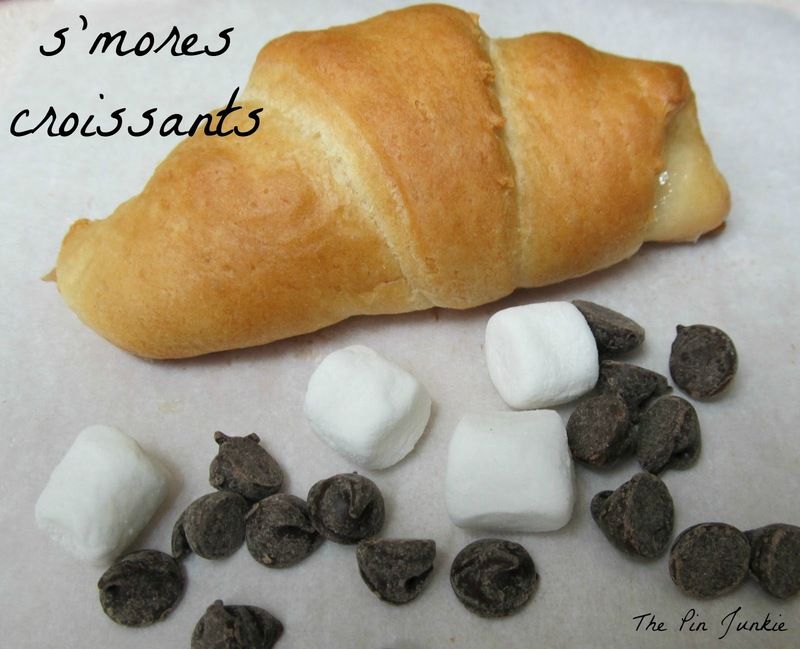 I pinned this idea for s'mores croissants from the Northern Cottage on my Recipies - Deserts Pinterest board. 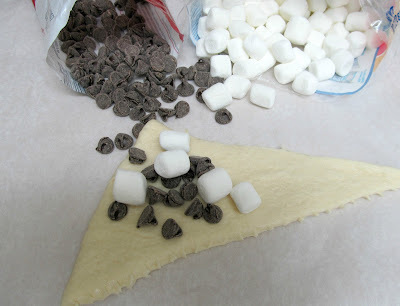 You just need marshmallows, chocolate chips, and refrigerated crescent roll dough. I had a tendency to fill the rolls too full. 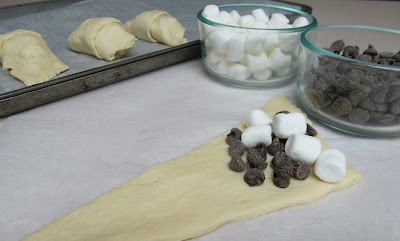 You only need to use a few chocolate chips and marshmallows, otherwise the croissants won't roll up very well. Once rolled up, place on a parchment lined cookie sheet and cook according to package directions. They're ready in about twelve minutes. 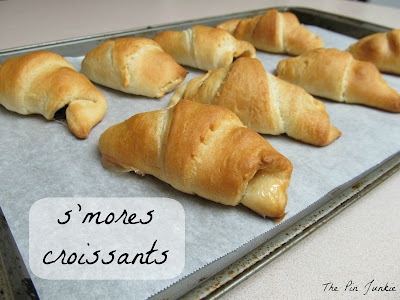 These were good, but . . .
. . . call me a croissant snob, but I much prefer a real buttery, flakey croissant. The ones out of the can just aren't. Oh yummy! Hubby would love this :) Thank you for sharing this at Rustic Restorations Weekend! That looks really good. I have to try this one day. Found you on Super Sunday Sync! Oh how easy & yummy! Love it! OMG, this is amazing! I could eat every one of them and then some!! :) Thank you so much for sharing this at SHOW-licious Craft Showcase! Thanks so much for featuring my s'mores croissants! Wishing you a very happy new year! 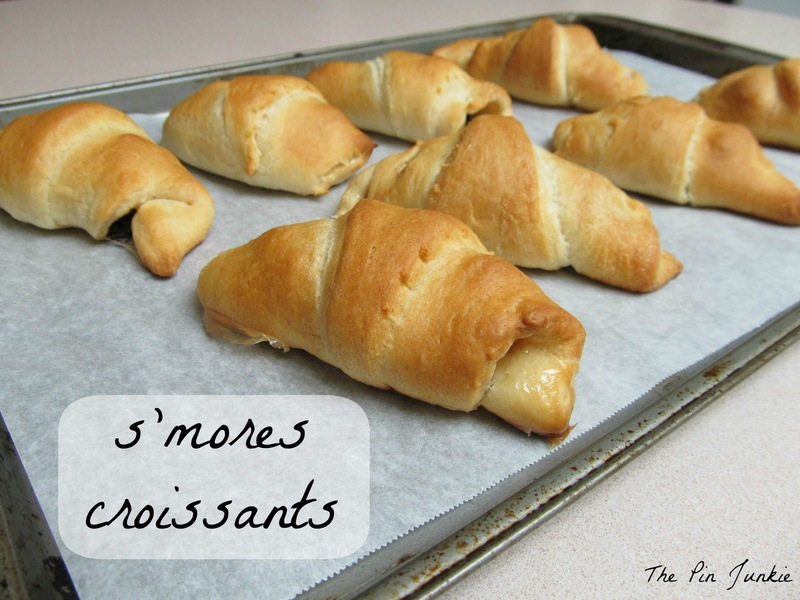 When I make my next big batch of homemade croissant rolls, I'll make some of them as smores. These look delish!! Thanks for sharing at Foodtastic Friday! 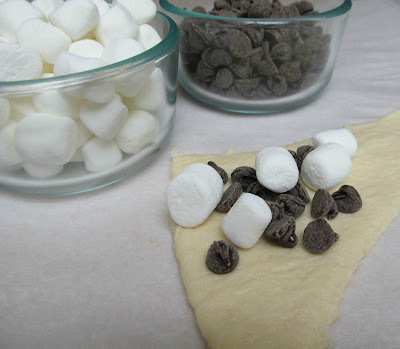 Thanks so much for sharing these yummy "smores" at The Ugly Duckling Link up!